our product provides essential administrative support and allows HR employees to focus on strategic initiatives that drive business growth. With Techno Brain’s InspireHRM™ employees are empowered to view their own HR-related information via a web interface, resulting in higher employee satisfaction. SBC Tanzania wanted to upgrade their existing Human Resource and Payroll System, so as to improve processes and provide operational transparency. Techno Brain’s solution enabled SBC to become result oriented and achieve significant benefits. 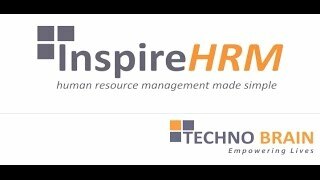 NSSF implemented Techno Brain’s InspireHRM™ and achieved streamlined HR operations. The solution was not only user friendly, but it also aided NSSF to reduce time for complicated tasks.